This stylish and contemporary ladder bar unit encompasses a design that is ideal for entertaining your guests. It features a drawer, a place to hang glasses, shelf space ideal for making cocktails, and a wine rack that can store up to 15 wine bottles. This cappuccino finished, solid-wood unit is practical, elegant and a must-have in every home! 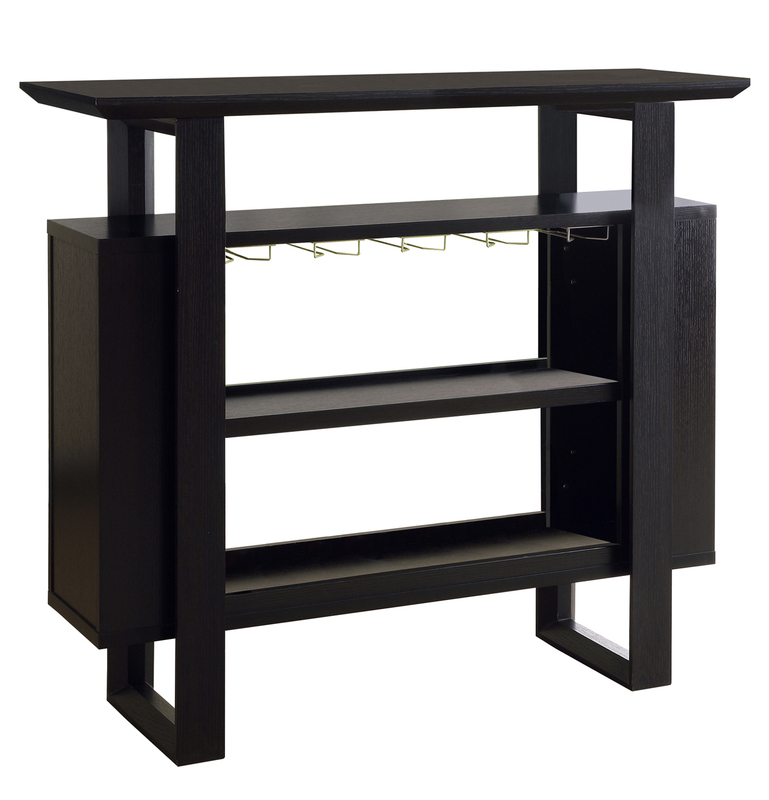 This stylish and contemporary 36" high bar unit encompasses a design that is ideal for entertaining your guests. It features two doors with hanging glass storage and a wine rack that can hold up to 15 wine bottles. The shelving area is great for making cocktails or displaying bar accessoires. This cappuccino finished, solid-wood unit is practical, elegant and a must-have in every home! 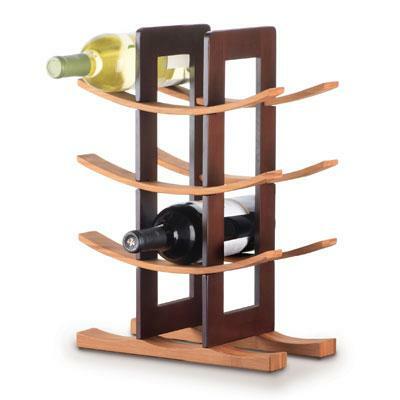 LIPPER� BAMBOO WINE RACK� HWLI8305 Perfect way to store and display your wines Stack successive racks as your wine collection�grows Makes a great housewarming gift Made from environmentally friendly bamboo, a natural and renewable resource Measures (W x D x H"): �20 �" x 5 ⅜" x 4 �" �. 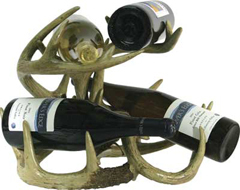 Your wine will be well preserved, well presented, and able to age gracefully in this hand made resin wine rack. Holds up to 4 bottles. 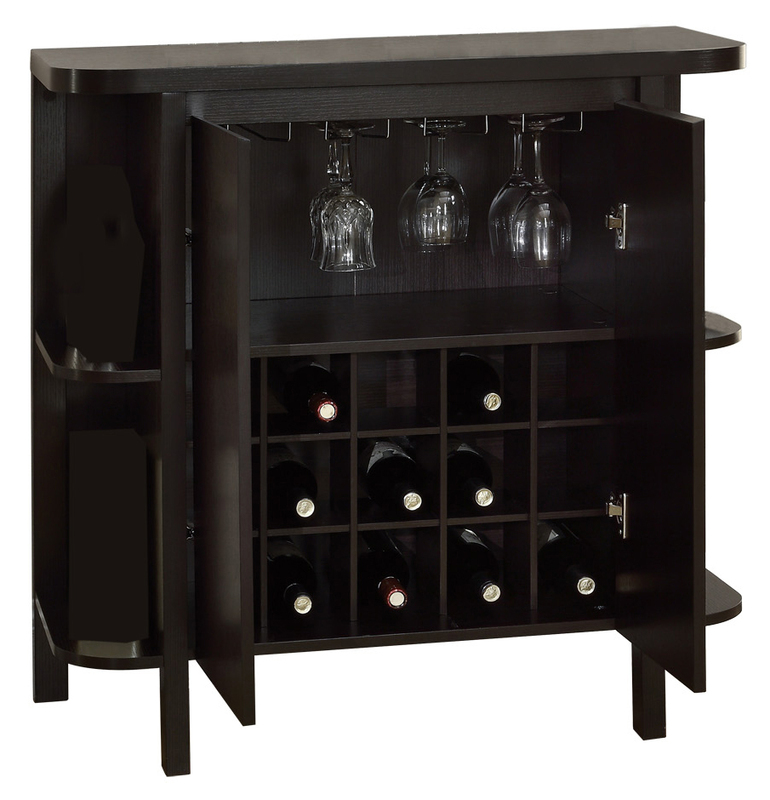 - RecherchT Furnishings Wine Cube is ideal for any wine enthusiast. - This wine cube is a great solution for compact settings or as a compliment to your wine vault, bar, cellar or dining area to display your wines. 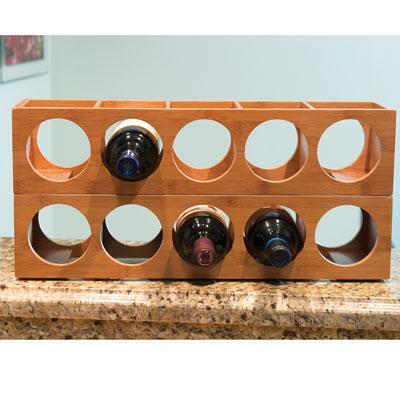 - Designed to hold 12 standard bottles (3 per segment) and can be stacked to create your own cellar design. - Crafted from solid Walnut with Oak inserts. - Sealed with Teak Oil for lasting finish. - Absolutely no screws or fasteners are used in constructing the RecherchT cube. - Traditional dovetail joinery offers strong, beautiful, long-lasting enjoyment.